An academic standards review commission tasked with reviewing the Common Core State Standards and deciding whether or not to recommend keeping them in place here in North Carolina must hold its first meeting no later than September 1—but legislative leaders have yet to announce appointments to that commission, and time is running out. Members of the General Assembly passed legislation this summer that halted the implementation of the Common Core standards, which are a set of guidelines for what students should know and be able to do in math and English Language Arts. Gov. Pat McCrory, previously a supporter of the Common Core, signed the bill into law. The legislation also mandates a full review of the Common Core State Standards, which would be undertaken by a group of eleven appointees to an Academic Standards Review Commission. Four of those appointees would be made by Senator Phil Berger, four would be appointed by Speaker Thom Tillis, one would be appointed by Gov. Pat McCrory, and the remaining two must be members of the State Board of Education. Inquiries to the Speaker’s office and Senator Berger’s office requesting information about their commission appointments have not been fulfilled, although late last week a spokesperson for Speaker Tillis’ office indicated his appointments were imminent. The law requires the review commission to hold its first meeting no later than September 1. 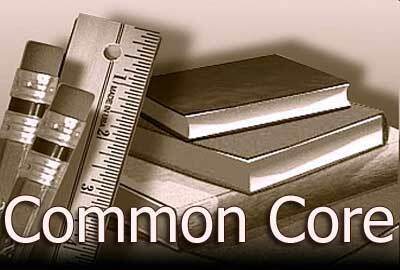 Commission members must vet the Common Core math and English standards and suggest modifications to the State Board of Education, which is then obligated to take those recommendations into consideration in its own review of the standards. Commission members could suggest a full repeal of the standards after reviewing them. But states have recently begun to step away from the standards. Five states have repealed Common Core, and many others have expressed their intention to step away from them. The review commission must make a final report to the State Board of Education and the General Assembly no later than December 31, 2015 – or sooner. Previous PostFour reasons 2013 tax plan likely main driver of revenue shortfallNext Post Back to school series – What is happening in our public schools?